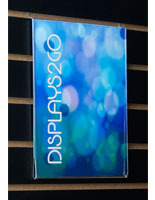 This slatwall framed panel features an aluminum frame to add to its professional look! 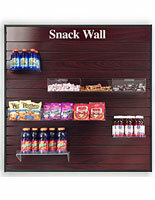 Shop from 100s of other slatwall kiosks as well! 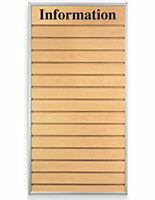 Our slatwall has the distinction of being finished around the entire perimeter with aluminum frame and each slatwall groove has decorative laminate inserts- most competitors sell the "raw slatwall board" without a frame or inserts, and with cheaper melamine laminate (low-pressure), versus our slatwall which has 1/16" thick high-pressure laminate. 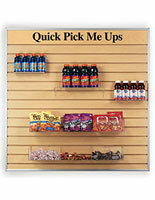 Our wall mounted modular slatwall panels make it easy to expand as your needs change. 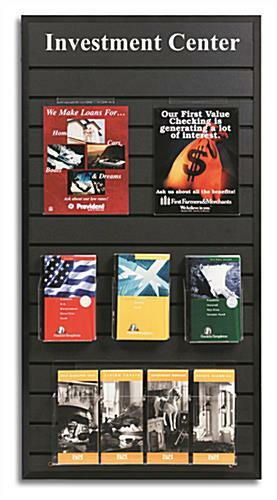 Unit includes your one color promotional phrase. All add-on pockets and frames are sold separately. 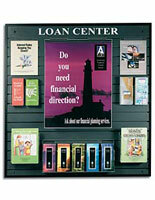 Overall dimensions: 23"w x 47"h. A 4" space at the top of the slatwall is allocated for an optional custom message included in the price of the unit.This display mounts on the wall via four large screws which are provided. 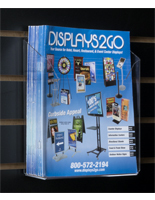 We also provide the screw caps to protect the look of the display. 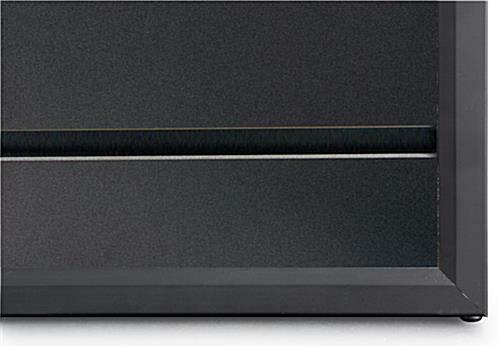 Header text is available in six colors with the default for this product being white.